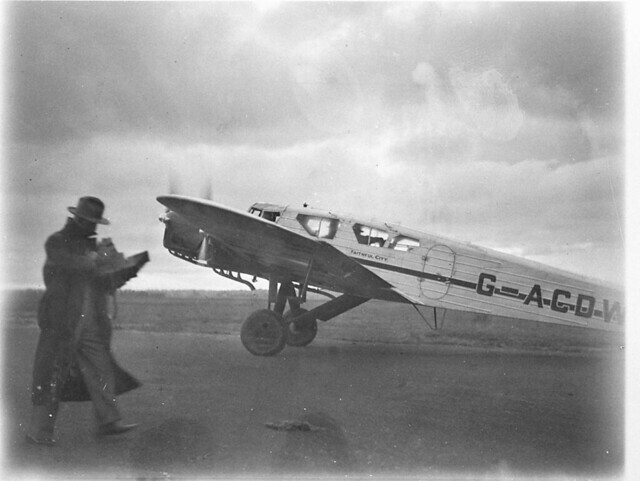 This Saturday, the Air Mail is delivered to your doorstep by a small, elegant, and well-forgotten British aeroplane. There was a time, and not so very long ago, when it was a common thing to hear the complaint that a potential purchaser of aircraft could not obtain from a British firm anything between the light aeroplane two-seater of some 100 h.p. and the large commercial "air liner" of several hundred or even over 1,000 h.p. 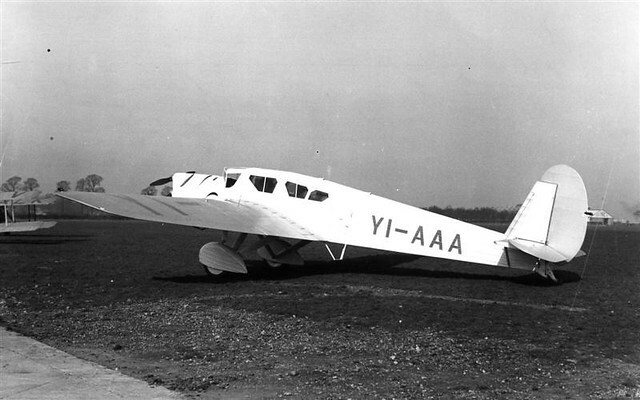 During the last two years things have changed radically, and there are now available to the purchaser of aircraft a very complete range of types and sizes, from the smallest single-seater through two-seaters, three-seaters, four-seaters and six-seaters, to the small, intermediate and large commercial aircraft. He would be a difficult man to please who could not find among them a type to suit his particular needs. 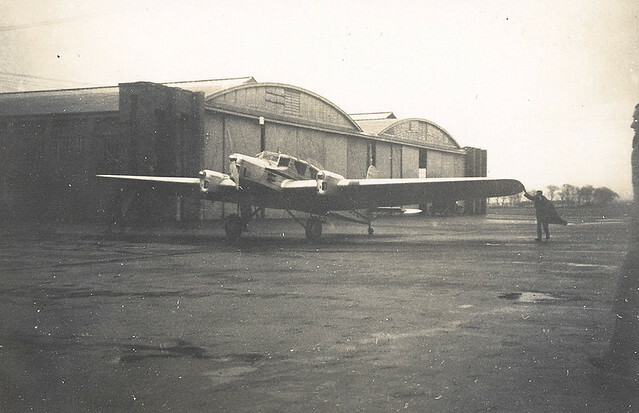 A six-seater which has recently made its appearance, and which should find a large field of usefulness, is the new three-engined monoplane produced at Cowes by Spartan Aircraft, Ltd., and to be marketed as the Spartan "Cruiser." The close connection between Spartan Aircraft and Saunders-Roe, Ltd., is doubtless responsible for the similarity in structural features to Saro flying boats which the "Cruiser" exhibits. These features have by now been well tried out in such types as the Saro "Cutty Sark," "Windhover" and "Cloud" flying boats, and their application to landplane type is to be regarded as very sound business. 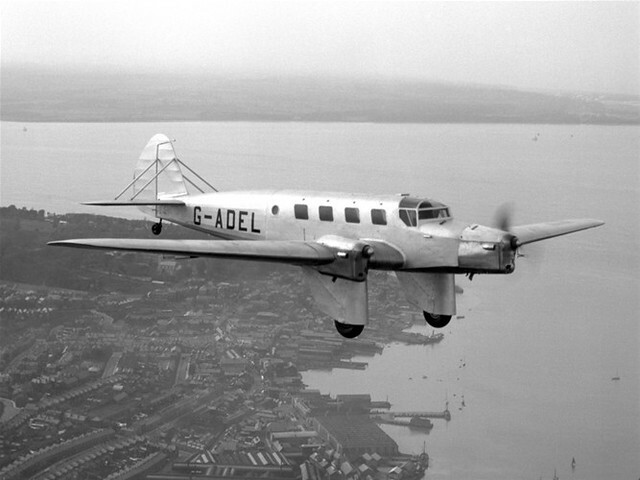 Fitted with three de Havilland "Gipsy III" inverted engines, the "Cruiser" carries, when equipped for passenger work, five passengers in addition to the pilot. This represents a power of 72 h.p. per paying passenger, which cannot be regarded as excessive in view of the good performance of the machine. When the cabin furnishings are removed and the "Cruiser" used as a freight carrier, the pay load becomes 1,000 lb., or 2.78 lb./h.p., for an endurance of 6 hours and a cruising range of approximately 700 miles. If the range is shortened, the pay load is, of course, correspondingly increased. As the machine has been designed to, and actually does, fly on any two of its three engines, it should cruise at a power expenditure low enough to ensure that engine failure should be almost unknown, and forced landings to all intents and purposes eliminated. The ratio of gross weight to tare weight is always worth examining, as it represents to some extent the " structural efficiency " of the aircraft. For the Spartan "Cruiser" as a passenger machine the ratio is 1.53, and for the freightcarrier it is 1.65. Both figures must be regarded as good, and indicate that considerable engineering skill has been brought to bear on the structural design. 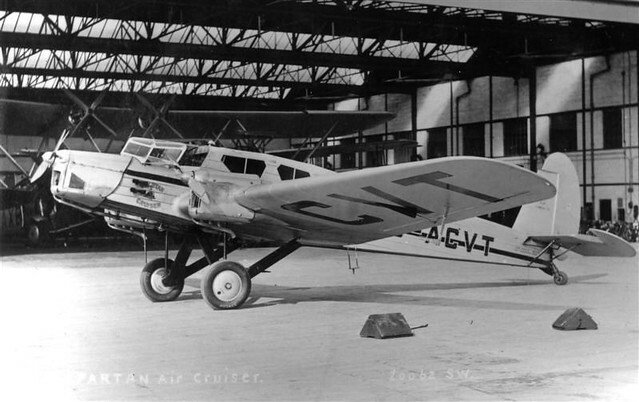 As our readers know, a Spartan "Cruiser" is now in Australia, having been chartered by Mr. Crawford Green and flown out there by Mr. Lynch Blosse. This machine is well adapted for use in the Dominions, where a high percentage payload is desirable, particularly so as it is coupled with a good top speed. The transition of airplanes from biplanes to monoplanes with retractable gear and no wire braces, etc.1930 to 1940 was about as dramaticneat as that for cars. 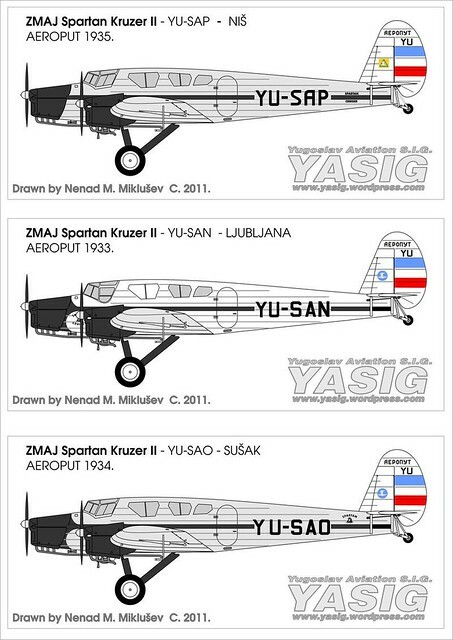 This plane is an excellent example, thanks for posting this.